For a few months now, stemming from a WWE RAW altercation back at the end of May, a feud has been brewing between Stardust and Arrow star/wrestling fan, Stephen Amell. 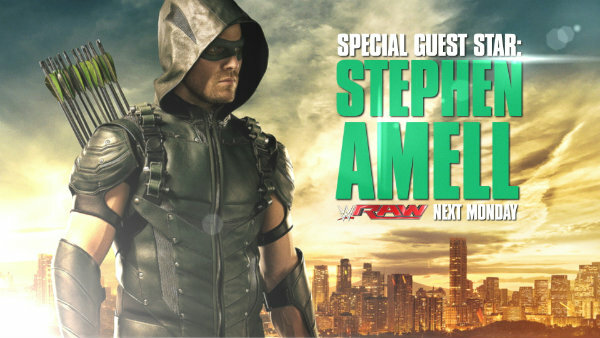 So yes, Amell will guest star on WWE’s Monday Night Raw next Monday, August 10th. This is the first time Amell will be there in an official “guest star” capacity so we’ll probably get to see him doing an in-ring segment. The BIG question though is whether or not this is all leading to a match between Amell and Stardust at SummerSlam? Tune in and find out!